ROLE Foundation is a foundation (yayasan) based in Nusa Dua. environment is a fundamental human right. vocational training to disadvantaged communities and to promote sustainable environment practices. Role Foundation recognises social and economic development of disadvantaged and at-risk communities is a process that encourages empowerment and wellbeing of individuals to reduce poverty, enjoy human rights and independence, and work towards a future where mutual economic and environmental sustainability is achieved. 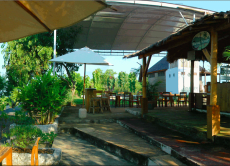 We run eco-tours, environmentally friendly programs and eco-educational workshops in our Island Sustainability Centre. After all the work we put in I'm really happy now that we have a new program which is interesting, fun & perfect for interactive guest tours and workshops. Please look at what we do and we hope to see you visiting our Island Sustainability Eco Centre soon! Enjoy a Nature Tour of our Sustainable Eco-Centre in Bali!